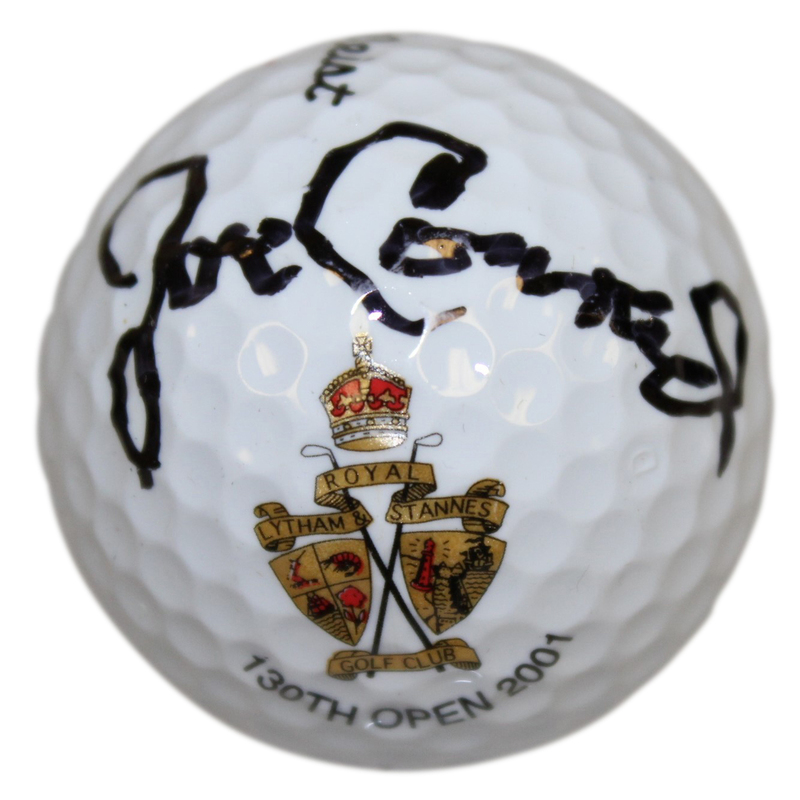 Here we have a Joe Conrad signed 2001 Open Championship at Royal Lytham & St Annes logo golf ball. 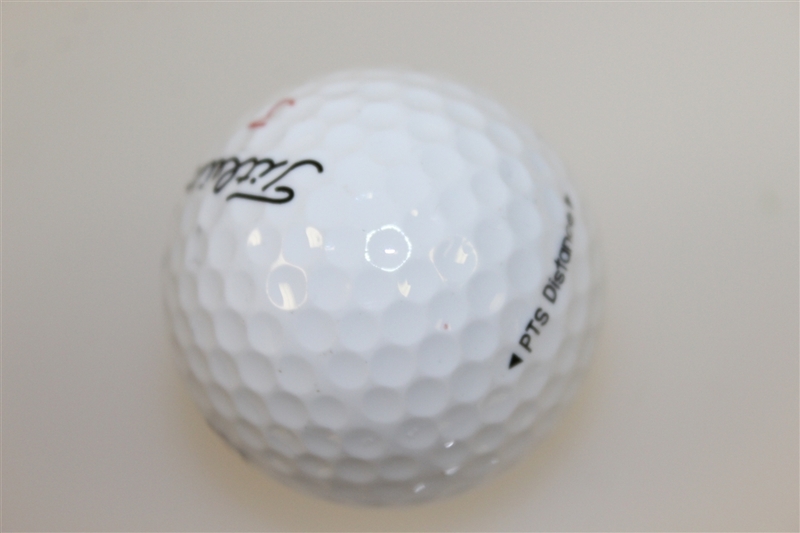 While the San Antonio native Conrad was in Europe for the Walker Cup Championship, he made the most of the trip and entered in the 1955 British Amateur. After the US Walker Cup team trounced the British team that year, Conrad set his sights and went on to win the coveted British Amateur Championship at Royal Lytham. 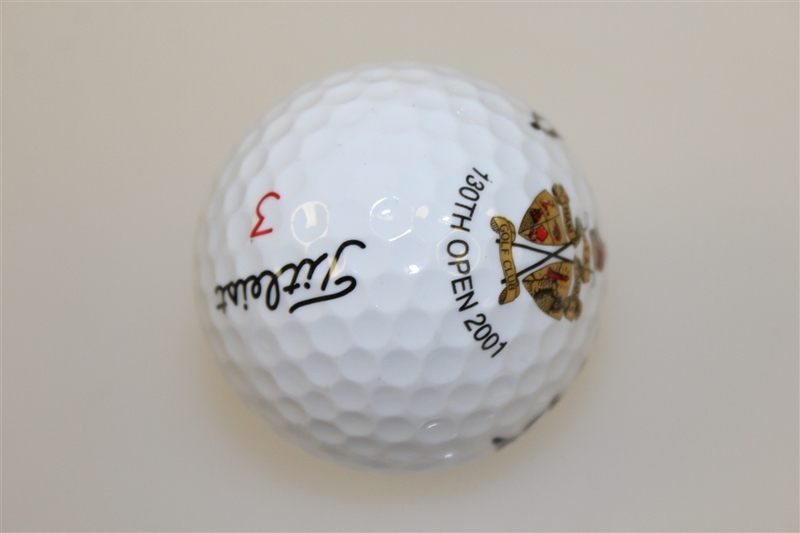 The 2001 Open Championship at Royal Lytham & St Annes saw David Duval win his lone Major.